It has a lively, intense and pale mousse and a particularly fine, continuous and persistent perlage. Straw yellow in color, tending towards brilliant gold, the bouquet is intense and ample yet extremely elegant, well-knit and persistent, with nuances of honey, apples, chamomile, aniseed and Mediterranean herbs. 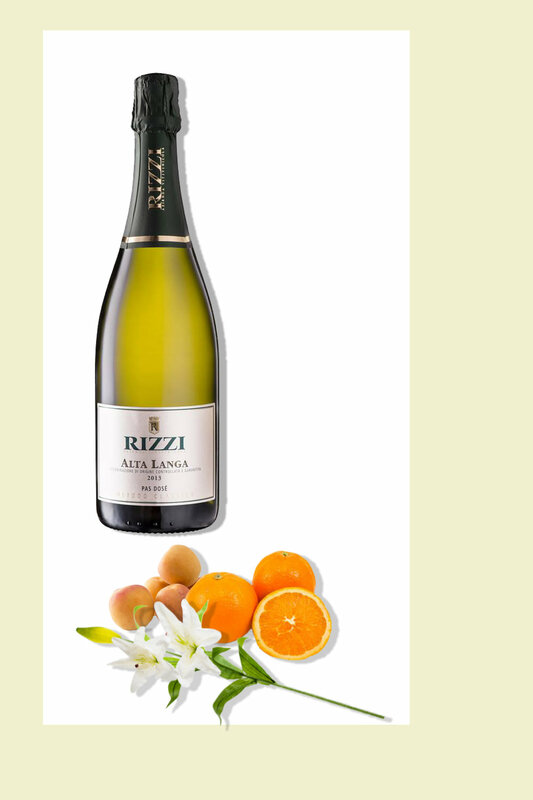 Full-flavored, with considerable structure but at the same time notable elegance, it is very persistent on the palate. Exposure: North and different expositions according to the production area. Soil: white marl clayey- calcareous. Harvest: Middle-end of August (with slight variations depending on the weather). Pressing: immediately after the handpicking, the grapes are gently pressed. Fermentation: a controlled temperature with selected yeasts in stainless steel tank. No Malolactic. Ageing: in steel tank with repeated batonnages for around 7/8 months, before the bottling in the spring for the second fermentation in bottle. Refining in bottles: minimum 48 months. Excellent to accompany appetizers, light starters, white meat, and naturally fish and sea food.